There’s probably no better way to spend your weekend than pondering infinity with Georg Cantor. Everybody loves number theory, don’t they? Might be a physicist thing, I don’t know. I enjoy thinking about infinity. Speaking of which, do you know that there are multiple sizes of infinity? Well, there are! Being the awesome guy that I am, I’ll take a few moments and quickly demonstrate this incredible result. When I first heard this, I thought, “That doesn’t even make sense. How can you have more than infinity? Different sizes of infinity? How can something that’s boundless even be compared? Infinity is infinity, isn’t it?” Well, yes, but there are some subtleties to consider. Let’s begin with the natural numbers. What are the natural numbers? They’re the numbers 1, 2, 3, 4, 5, 6, 7, 8, 9, 10, 11, 12, 13, and so on, forever. There are an infinite number of natural numbers. They never end. Ok, so far so good. Next let’s consider the real numbers. The real numbers are basically any number with an infinite number of digits after the decimal point. Some examples include: 0.3333333333…, 0.23468828273…, and 12.25000000…, and so on. The “…” at the end means that the digits continue indefinitely. Now let’s pair up each natural number to a unique real number. They don’t have to be in any particular order. For this example I pair up my natural numbers to real numbers less than 1, but there’s no rule saying this has to be the case. And so on. Here’s the question of the day: Since we have an infinite amount of natural numbers to work with, is it possible for us to pair up each and every real number to a natural number? The answer is no, we can’t. There will be an infinite amount of real numbers we missed, even if we pair each and every natural number to a unique real number. Let me explain. You should see that there are an infinite number of such diagonals which we’ve missed. That means that no matter how we pair up our natural numbers to the real numbers, there will be an infinite number of real numbers left over. There are an infinite number of natural numbers, but in some strange sense, there are infinitely more real numbers. So, there must be different sizes of infinity! Cardinality means the number of items in a set. For example, if you have a set of playing cards, it’s cardinality is 52. Though I’m only an amateur, I believe this statement is saying that there are no different sizes of infinity between the infinite amount integers (-3, -2, -1, 0, 1, 2, 3, …), and the infinite amount of real numbers. In this post, I’ve shown that there are an infinite number of natural numbers, and an infinite number of real numbers. We all know there are also an infinite number of integers, you’re just adding the negative natural numbers as well. As we’re seeing, in some strange sense, the infinite number of real numbers is greater than the infinite number of natural numbers. Cantor is proposing that you’re not going to be able to find a set whose size is between those two infinite sizes. The infinite size of the real numbers is the next “step” from the infinite size of of the integers. Has your mind exploded yet? The dilemma plagued the minds of many prominent mathematicians, including Bertrand Russell, Kurt Godel, and David Hilbert, as they struggled to figure out what was going on here. 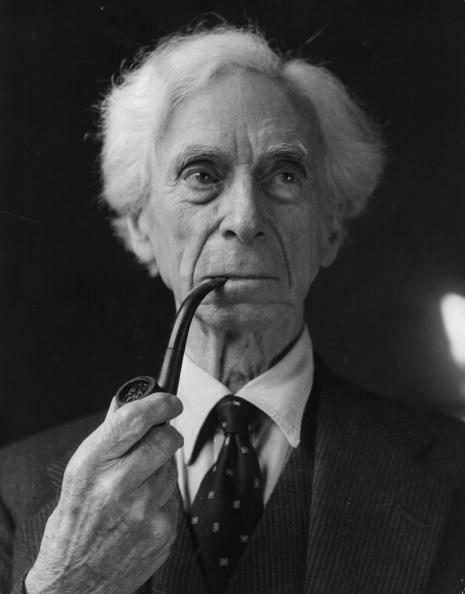 Just as a matter of protocol, when pondering infinity, you must wear a suit, talk in a distinct British accent, smoke a pipe, and always look profoundly toward the sky in contemplation. When spoken to, you must reply, “Yes, indeed,” and then take a puff of your pipe. If you need an example, reference the picture above. 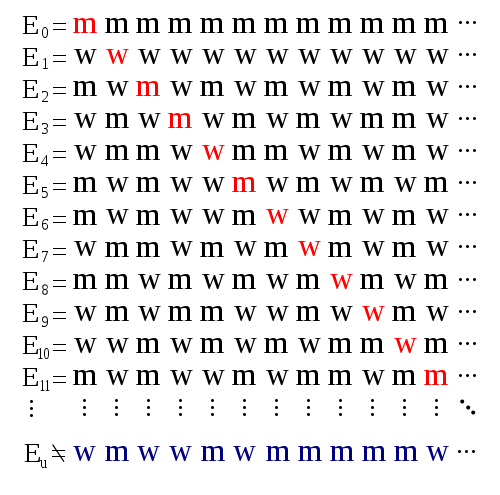 In 1940, Godel was able to demonstrate that the Continuum Hypothesis couldn’t be disproven using mathematical set theory. A little over twenty years later, a brilliant young mathematician by the name of Paul Cohen proved that mathematical logic is incapable of proving whether the Continuum Hypothesis is true, or false. I’d like to further reflect on this matter with all of you, but to put it bluntly, mathematicians seem to enjoy making their work as terse and difficult to read as possible, using their own jargon lingo, and complicated symbols to express their ideas. I’ve been wading through it all for years now, and have slowly been coming to an understanding of a lot of it. Though I’m not going to take any time discussing this, there are actually an infinite number of sizes of infinity! Who would have thought?